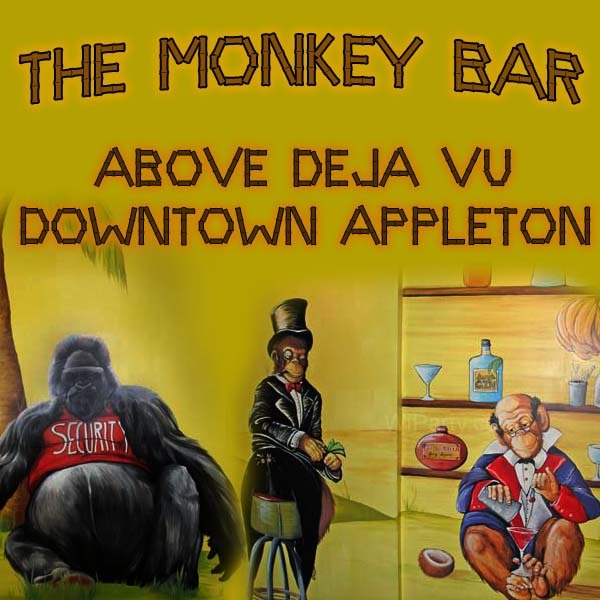 Monkey Bar is upstairs from Déjà Vu and is a tropical-themed bar. Very Caribbean in feel, the decor is bright and colorful. No martinis up here - mostly rum-infused specialty cocktails. Happy hour from 8pm to 10pm and includes $2 domestic bottles and $5 margaritas. The Monkey Bar is open Wednesday through Saturday at 8pm. and even a little Ninitedo 64!